Chances are, you haven’t heard much about open-source agronomy. But as a coffee lover, it affects you directly because it’s the key to ensuring the future of quality coffee. "Open-source" means sharing information. "Agronomy" means "the science of soil management and crop production." Starbucks believes in doing just that. For the last decade we have been taking an open-source approach with our latest research from places like our Global Agronomy Center in Costa Rica, and sharing our tools, best practices, and resources with growers around the world — whether they sell to us or not. 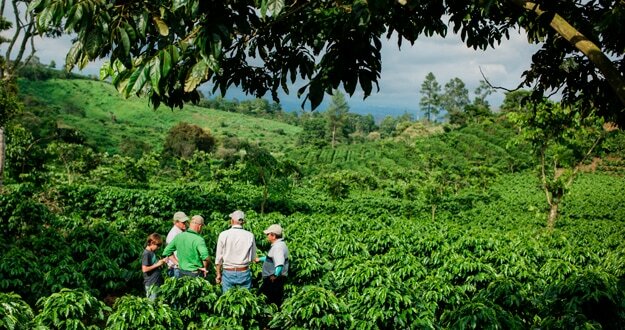 Today’s farmers are facing constant challenges to their sustainability and Starbucks is committed to helping them. Starbucks currently operates Farmer Support Centers in key coffee producing countries around the world, from Costa Rica to Rwanda to China. There, farmers get free access to the latest findings of our top agronomists, including new varietals of disease-resistant trees, and advanced soil management techniques. The goal is to build upon traditional growing methods to help farmers continue to improve both the quality of their crops, and their profitability, ensuring the future of high quality coffees for everyone. Starbucks is restoring a 240-hectare farm located on the slopes of the Poas Volcano into a global agronomy and research and development center. The work happening on this farm will enable the company to provide hands on learning for farmers to expand its Coffee and Farming Equity Practices (C.A.F.E. ), the innovative ethical sourcing model developed in association with Conservation International to ensure coffee quality while promoting social, environmental and economic standards. 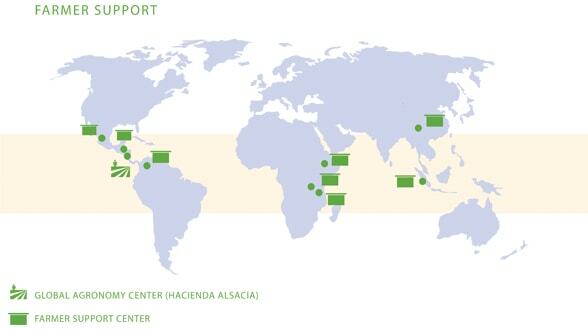 In addition to supporting resiliency for farmers with techniques that can be implemented around the world, this farm will also influence the development of coffee varietals and provide new insights on soil management practices. Work at the farm will include the development of hybrid coffee tree seedlings at the farm's nursery in collaboration with industry experts to directly address the impact climate change is having on the coffee industry including the increased incidences of coffee leaf rust or "roya" in parts of Latin America. In 2015, Starbucks donated thousands of seedlings from five different coffee tree hybrids developed through its research to the Costa Rican Coffee Institute (ICAFE). 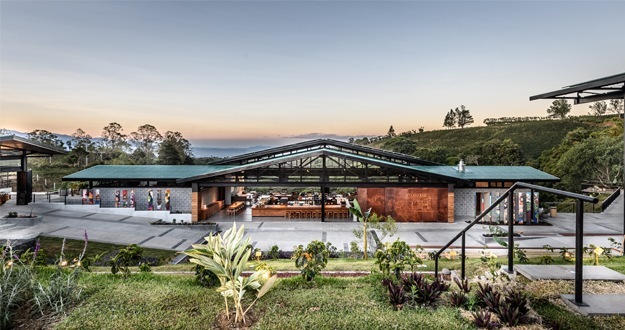 In March 2018, Starbucks opened the doors to its Visitor Center at Hacienda Alsacia, located on the company's 600-acre (240 hectare) coffee farm on the slopes of the Poas volcano in Costa Rica. Now open to the public, visitors will have the chance to experience coffee from seed to cup and see firsthand the agronomy work the company has been supporting and investing in for more than two decades. Designed by Starbucks in-house design team known for creating the "third place" experience in its Starbucks stores and its premium Reserve Roasteries, this 46,000-square foot Visitor Center is an experiential environment helping to educate visitors on the full coffee ecosystem. Visitors can tour the space on their own or with a guide, discovering everything from a coffee seedling nursery to a greenhouse with new, disease-resistant coffee varietals, coffee fields with ripe cherries at harvest, in addition to a wet mill and drying patio.